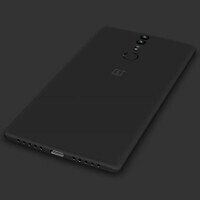 We've known for a while now that OnePlus is working on a second handset meant to reach the market before 2015 is out, and intel so far suggests that we're likely referring to the rumored OnePlus Mini. Today marks another important revelation, further fueling speculation that the Chinese company is, indeed, working on a smaller model that will appease those among us who aren't into phablets: an AnTuTu benchmark run. The source being the guys behind AnTuTu, we have little reason to believe that the screenshots below have been doctored, though there are obviously no guarantees that the device (dubbed A2301) we're looking at is the OnePlus Mini. That would make sense, though, seeing as the app revealed high-end gear that is nevertheless inferior to the one available with the OnePlus 2. Unfortunately, AnTuTu doesn't report on screen size, so we can't be sure at all. In any case, the benchmark found a display with resolution of 1080 x 1920 pixels being powered by an octa-core MediaTek MT6795T processor, clocked at 2.2GHz (also found in the HTC One M9+), coupled with a PowerVR Rogue G6200 series GPU and 2 gigs of RAM. The mysterious device also packs 32GB of storage and a 13-megapixel main camera. The brains of the operation is the latest commercially available build of Android: 5.1.1 Lollipop. As you can see from the 54,311 score achieved by the handset, we're talking about no slouch. It doesn't matter how powerful the phone is, or how cheap it is. As long as One Plus keeps playing the "Invite Only" card, they are doomed. what seems to be the issue for One Plus? is their supply chain really that bad? how many units have they actually been able to sell? And wtf , 2gb Ram. Get lost. I would buy this if it had 4gb Ram. lol how much does your current phone have? Buy oneplus two or zefone two. Why wasting time in writing stupid comments. People are selling their invites for 20 to 50 dollers in India.